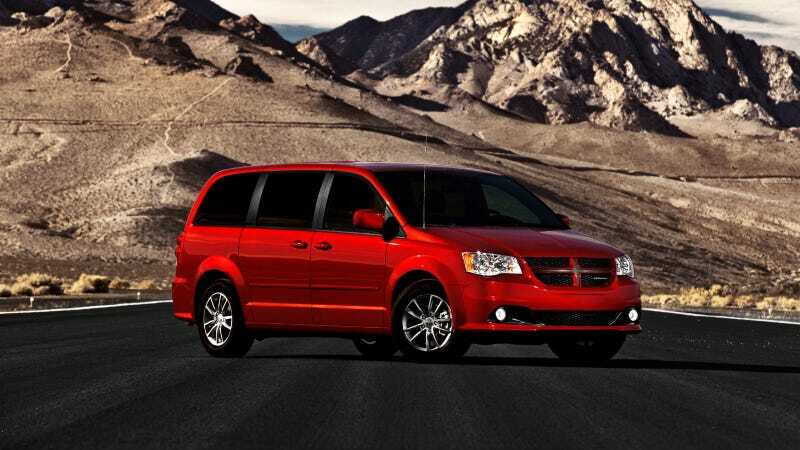 A minivan with "attitude" is how Dodge is positioning the 2011 Dodge Grand Caravan R/T. By attitude, it implies a less emasculating experience for guys, a minivan audience the company must attract to beat market saturation. But will dudes bite? To be fair, the official line is "a little bit of attitude," so don't expect Hemi-level performance. Such attitude comes from the R/T package, whose "road and track" promise is served solely by a performance-tuned suspension, which likely means stiffer and with more roll control. The R/T style play includes all-black interior, black leather seats with red stitching, leather-wrapped steering wheel and shift knob and a nine-speaker, 506-watt sound system with a subwoofer. All that plus body-color grille and side moldings and 17-inch wheels. Granted, Chrysler's new Pentastar V6 puts out a fair 283 hp and 260 lb/ft in minivan trim, so while its no family burnout machine, the Caravan won't leave dad whistling "Viva Viagra" on his way to get the cat groomed.